Dubrovnik is the most popular touristic destination of Croatia and the well known pearl of the Adriatic. Its historical name in Italian is Ragusa and in Latin as Ragusium. 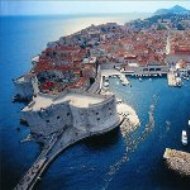 In the year 1979 Dubrovnik has been added to UNESCO's World Heritage list with its over 1.400 protected buildings. The famous Dubrovnik walls that surrounds city centre are 2 km long through centuries defend the citizens from sea based attack, and within them there is a beautiful city with numerous cultural monuments, churches, and places such as the Stradun, the world known limestone-paved street that runs 300 meters through the old city centre. The prosperity of Dubrovnik has always been connected with maritime trade and by its skilled diplomacy the city achieved a high level of development The Dubrovnik Summer Festival is the most important cultural event of the city with concerts, live performances and plays. The Old Town is also depicted on the back side of the Croatian 50 Kuna banknote. 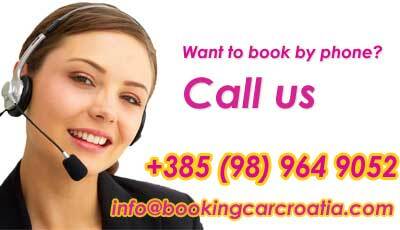 You can reach the city of Dubrovnik from its international airport, located 18 kilometers from city centre or by car following A1 motorway to Split and then take Adriatic coast road which is connected with Dubrovnik.